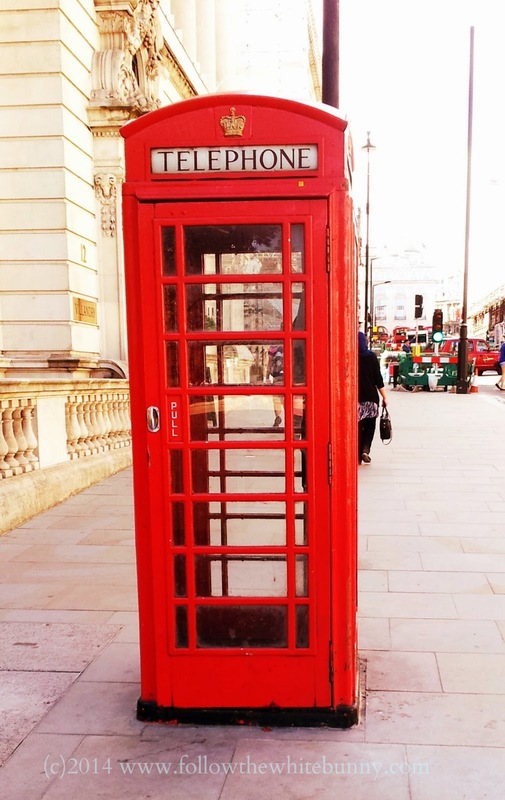 I had a great time in London last weekend! After dropping off my suitcase at the hotel Friday morning I headed to Earl's Court which was the Tube station nearest to my hotel. Since I read Neil Gaiman's Neverwhere I can never view the London Underground in the same way again and many of the Tube Stations and the famous 'Mind the Gap' phrase have a special connotation to me now. If you like (urban) science fiction than you should definitely check it out, especially if you are traveling to London. Anyway, I was meeting my friend Sami at Earl's Court and we went on a quest to find Shaukat Fabrics. A store that is supposed to be like an Aladdin's Cave of Liberty Fabrics, some even say bargains can be found there. 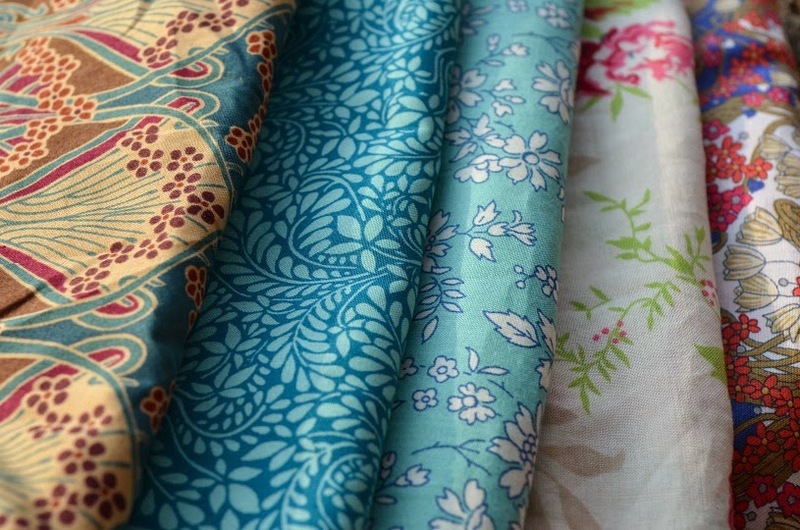 Well there was a lot of Liberty Fabric there, that's for sure, a bit overwhelming actually! I was really excited when I found the stacks of remnant fabrics. Sami and I went through the stack where all pieces cost 1 pound each, and I dug up a really lovely fabric (the white with flowers). The 2 and 5 pound stack was more impressive and there's where I found the other fabrics. The larger pieces were about a quarter of a metre and cost 5 pound. Reasonably priced but not exactly super-bargains. Later that day Sami and I met up with Sophie (of What Delilah Did) and we went to see an interesting exhibition called 'Making Colour' in the National Gallery. After that we sat in a park (not sure which one) and talked lots, because that's something you do in parks rather than museums. 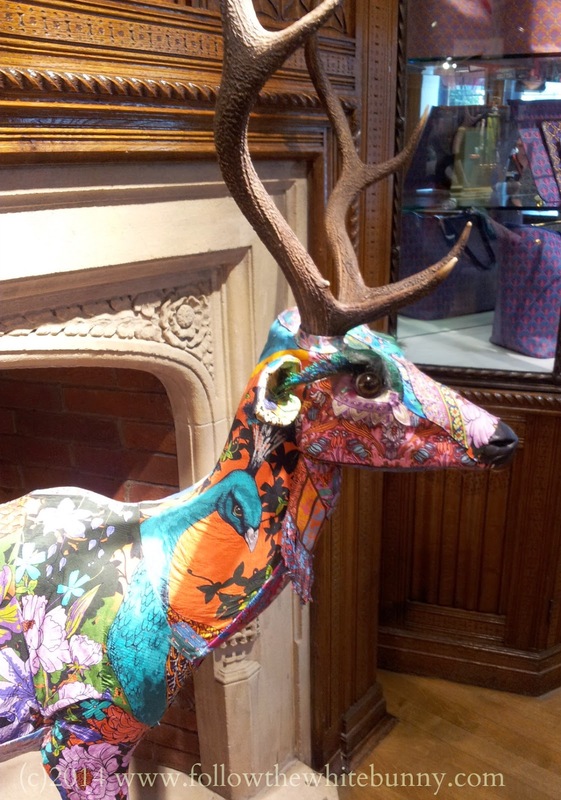 :) We also managed to squeeze in a quick visit to Liberty where I found this fabulous patchwork deer. Saturday I went to the &Stitches Picnic in Hyde Park and I wrote a little bit about that on the &Stitches blog yesterday. I had quite a lot of time for myself on Sunday and visited the Victoria & Albert Museum where I saw some beautiful embroidered garments and textiles. Especially the Chinese Silk Embroideries were very impressive. I received some fabulous gift over the weekend like these two pendants. The one on the left was made by Sami in her signature blackwork-on-Liberty- fabric-style. 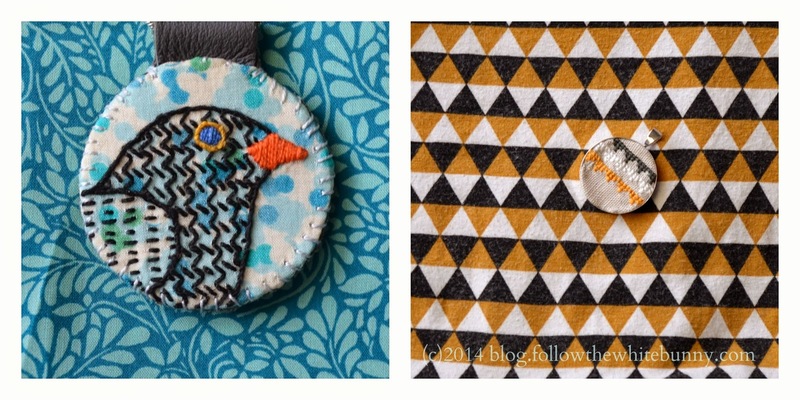 The one on the right was stitched by Sophie (from &Stitches) and the odd thing was that the motif almost exactly matched that of the dress I was wearing on the day she gave me the pendant! It was great to spend a few days in one of my favourite cities again and I felt very lucky to have such wonderful company during my time in London. Thanks friends!